The cover of a self-published new anthology edition of Lucy Maud Montgomery's classic orphan tale has Amazon commenters reaching peak dye-job hysteria right now. 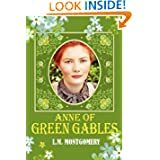 Since when is Anne of Green Gables supposed to look like an Abercrombie & Fitch model? 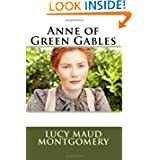 As anyone who has read Lucy Maud Montgomery's classic orphan tale Anne of Green Gables over the last 105 years can tell you, its protagonist is supposed to be a rather homely looking ginger. But the cover of an anthology (above) published in November on Amazon from Amazon's self-publishing arm CreateSpace has readers reaching peak dye-job hysteria right now. And rightfully so: Since when is Anne of Green Gables supposed to look like an Abercrombie & Fitch model? ...or any of the other red-headed Annes depicted on covers throughout the novel's history.